A while ago, Hari Menon set out to build a mobile app using PhoneGap. Luckily for our community, he started working on a mobile client for Travis CI. 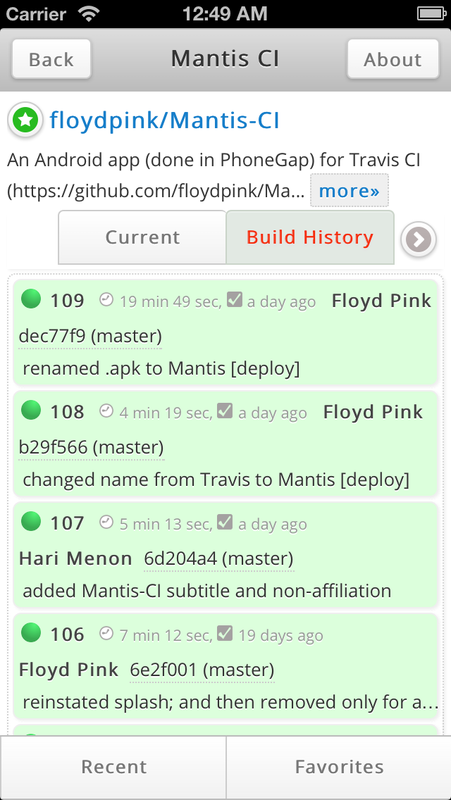 The result is Mantis CI, an iOS and Android app, allowing you to interact with your repositories on Travis CI, available on both the Apple App Store and Google Play. Hari wrote up a great post on how Mantis CI came about and the challenges he had to tackle to get it up and running and into the App Store.